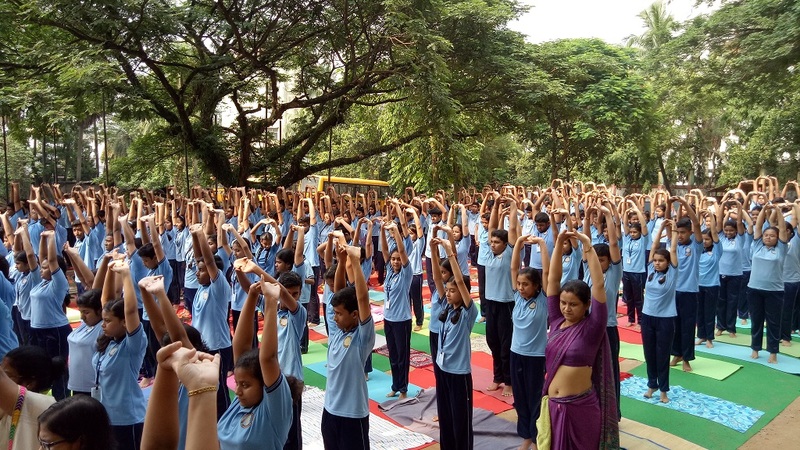 The Shrimanta Shankar Academy Senior Secondary School, Guwahati along with the rest of the world observed World Yoga Day in the school premises on Thursday. 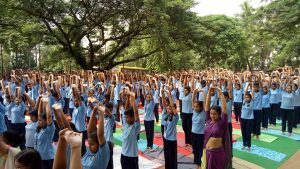 Around 2700 students along with teachers and more than 200 non-teaching staff personnel participated in the programme. Manisha Sarma and Samiran Kalita, representatives of Assam State Technology and Environmental Council (ASTEC) were the chief guests in the programme. They were felicitated with a sapling each and a gamosa on the occasion. 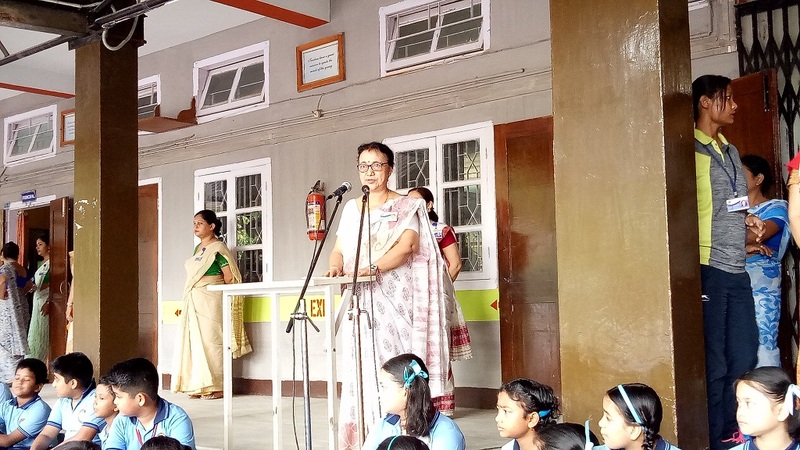 Principal Dr Baruah during her speech emphasized the importance of yoga in day to day life for a good health. “Yoga has a very important role in our life as we all are becoming sick due to unhealthy lifestyle,” Dr Baruah added. Meena Goswami was the yoga instructor during the programme.